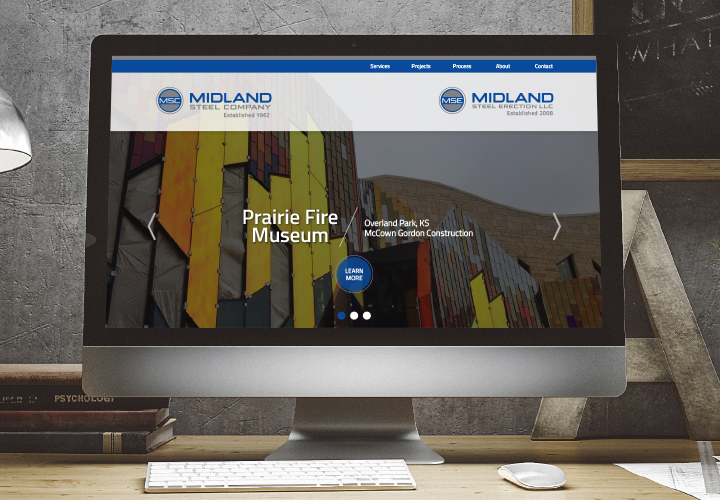 Midland Steel Co. is one of those ideal clients — you know, the client that experiences a little of what you do and then wants a lot more? When first meeting with the leadership team at Midland Steel, SJC presented the kitchen sink, to which Midland Steel said, “Thanks, but we just want to re-brand the company.” This was a big deal for a company, existent since the ’60s. It is hard to feel like you’re letting go of history. But SJC Marketing embraced their history, and after delight over the new re-brand, Midland Steel soon after requested a new website. A few months after the website was finished, this steel fabrication and erection company knew the old school days of showing up at businesses were long gone and requested a digital marketing plan to meet their needs of educating and informing potential and current clients of all their offerings.